Expecto A Poem: Upper School of Witchcraft and Poetry: What's so great about Chicago? They call Chicago, the "Windy City." In poetry class, we have read two poems that talk about Chicago. These poems were Sandburg's "Chicago" and Troupe's "Chicago (for howlin' wolf)." Heck, there is even a musical about this great city called "Chicago." So really, what is so great about Chicago? On October 7, 1871, October experienced a devastating fire, one that engulfed 2,000 acres. The fires also destroyed more that 73 miles of roads, 120 miles of sidewalk, 2,000 lampposts, 17,500 buildings. I think the biggest thing that Chicago had to deal with was the reconstruction and how they were going to rebuild their city. 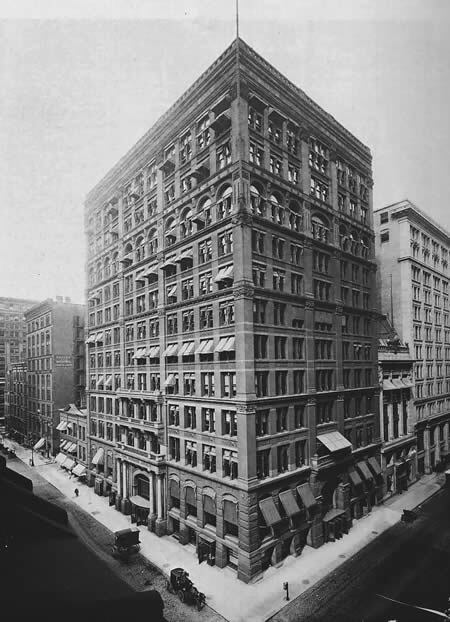 During the time of the rebuilding stage, the city of Chicago build the first skyscraper in 1885. In "Chicago," Sandburg personifies Chicago to be a be tall,strong man. This depiction comes from the large skyscrapers that are found in Chicago. In the 19th century, Chicago became an important railroad center. "The first railroad in Chicago was the Galena & Chicago Union, which was chartered in 1836 to build tracks to the lead mines at Galena in northwestern Illinois." Reference to this factor of Chicago is in "Chicago," "Player with Railroads and the Nation's Freight Handler." Chicago's railroads helped with transporting goods throughout the United States. One of these goods was meat. Chicago was referred to as "Porkopolis." The city was granted the title in 1862. In Sandburg's poem he refers to Chicago "Hog Butcher of the World." I think the main reason why Sandburg and Troupe wrote poems about Chicago is because of the history of the city. The city has a great background and began leading other cities with its industrial background.